4. We select the type of Header we want. For example, we can choose the Blank option. 5. The designated space to write our heading, will appear. 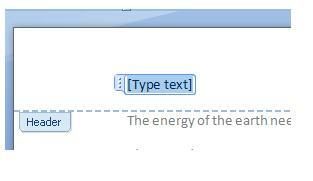 In the image, it is the area where it says "Type text". 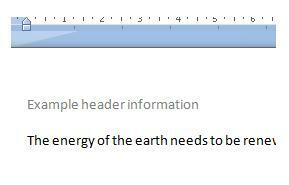 Remember that this header will be seen in the entire document. 6. We write the header. 7. This is the way our header will look like once we have finished writing the information. Notice that the colour of the font is lighter and it is also placed above the regular margin of the worksheet. 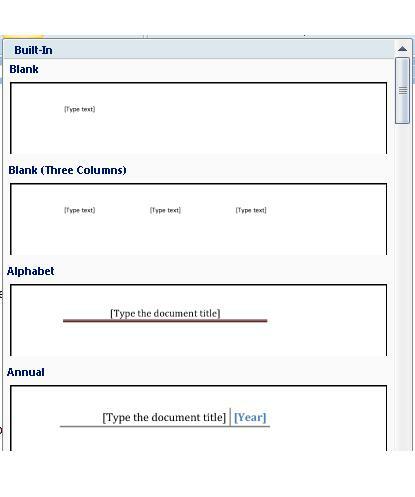 b) A designated space to write our footer will become available in our document. 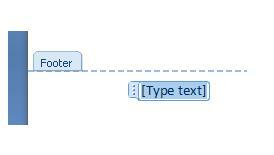 Notice that the space is once again identified by the words "Type text". c) We write the information we want on the footer. 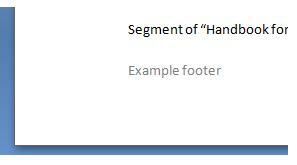 d) This is the way the footer will look like in our document. 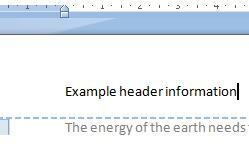 Notice that it is located below the regular margin in our worksheet and it has a lighter colour than the regular font.